Before you plan your family’s next vacation to Maine, get some help from a travel professional… and your kids! 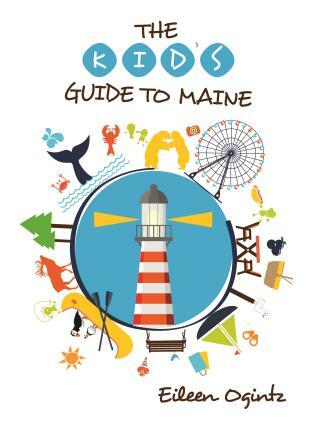 The Kid’s Guide to Maine lets the kids help plan your trip and guides you as you explore Vacationland from the southern beaches to the great north woods. Inside you’ll find kid-tested tips on where to go, where to eat, what to see, and where to get the best souvenirs. Along the way, your kids will be engaged by reading and sharing fun facts and cool travel tips. Awesome games and quizzes will keep the family entertained, too. Fun for both visiting and local kids. Award-winning author Eileen Ogintz is a leading national family travel expert whose syndicated column Taking the Kids is the most widely distributed column in the country on family travel. She has also created TakingtheKids.com which helps families to make the most of their vacations together. Ogintz is the author of seven family travel books and is often quoted in major publications such as USA Today, the Wall Street Journal, the New York Times as well as parenting and women's magazines on family travel. She has appeared on such television programs as "The Today Show," "Good Morning America" and "Oprah," as well as dozens of local radio and television news programs. She has traveled around the world with her three children and others in the family, talking to other traveling families wherever she goes.